DARPA wants to be able to launch anywhere, any time, and several times in a row. Is that too much to ask? Not for Vector Space, Virgin Orbit, and an unnamed startup that just qualified to take place in the agency’s Launch Challenge, which will push their responsive and mobile launch capabilities to the limit. In the challenge, the teams will be notified that they need to launch a payload to orbit from a given location only days beforehand. After doing so, they will then be told a second location from which they must launch again just days later. The winning team will receive up to $12M, with $11M and $10M available to the runners up, depending on how they perform. Speaking at the 35th Space Symposium in Colorado Springs, Master announced the three companies that would be taking part in the competition, which the agency announced around this time last year. Interestingly, none of them has yet put a payload into orbit. 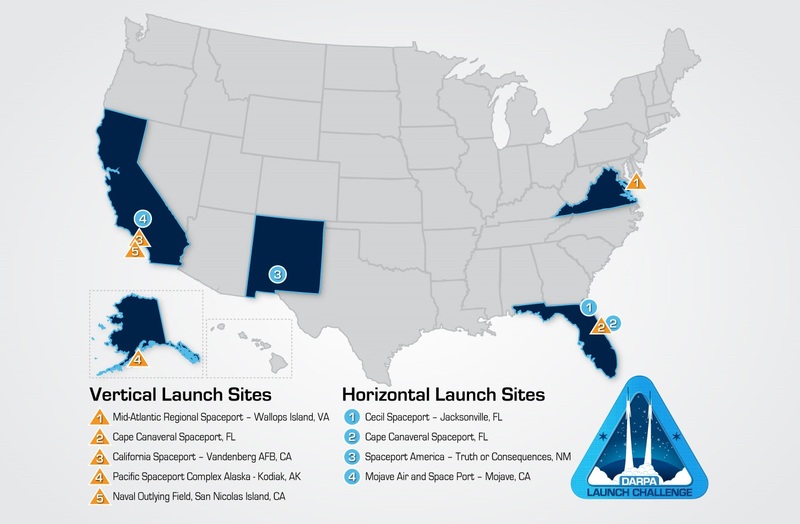 These are the potential locations for launches.